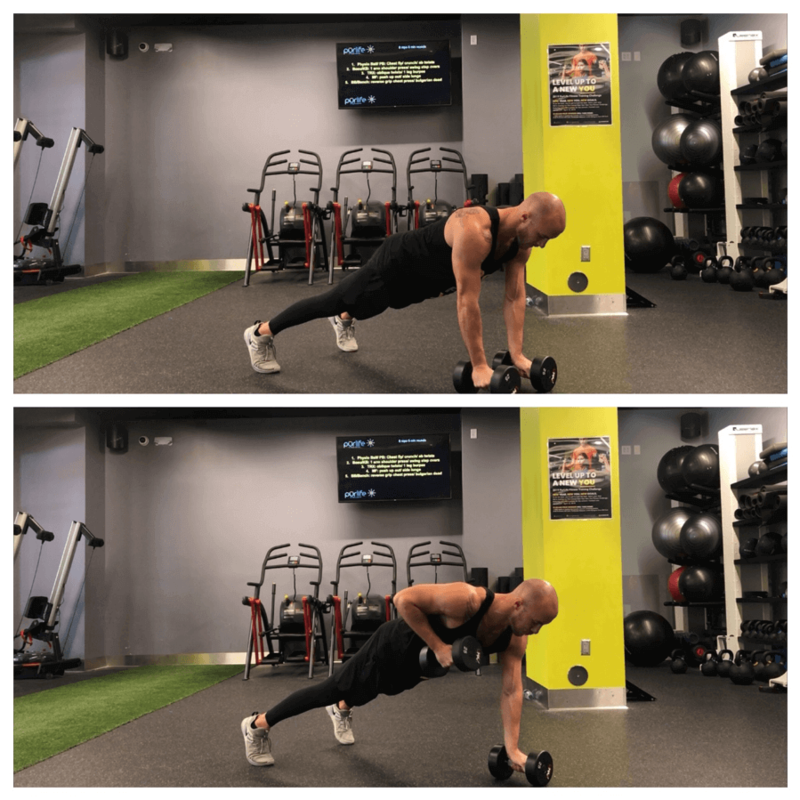 The Quadruped Bird Dog Row is not only an excellent exercise for strength in the back but the anti rotational component makes for a great challenge for your core. This among other reasons, when used properly, makes it an effective choice for lower back health as well. More on that later…. Line yourself up face down with your joints in vertical alignment. (knees above hips, wrists under shoulders). Make sure to have a neutral spine, avoiding any spinal rounding or excessive curvature. Keep your gaze straight down and try to make a double chin to help align your cervical spine. Extend the opposite leg of the side that will be performing the row. 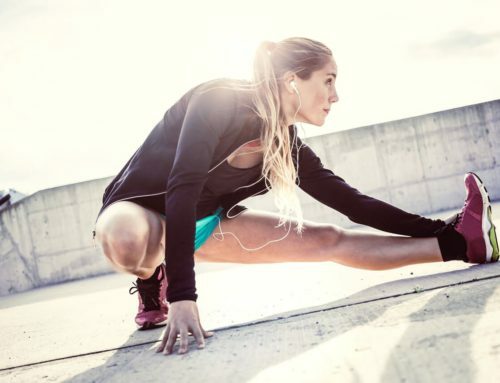 Your leg should be parallel to the floor, and in line with the height of your spine. Just like the bird dog, too low won’t create as much activation and too high will likely create lumbar extension. Make sure you feel stable before grabbing your weight. When you begin, control your breathing and pull slowly. Note: The direction of the pull should be angled slightly backwards, not directly up as you’ll see many people attempt. 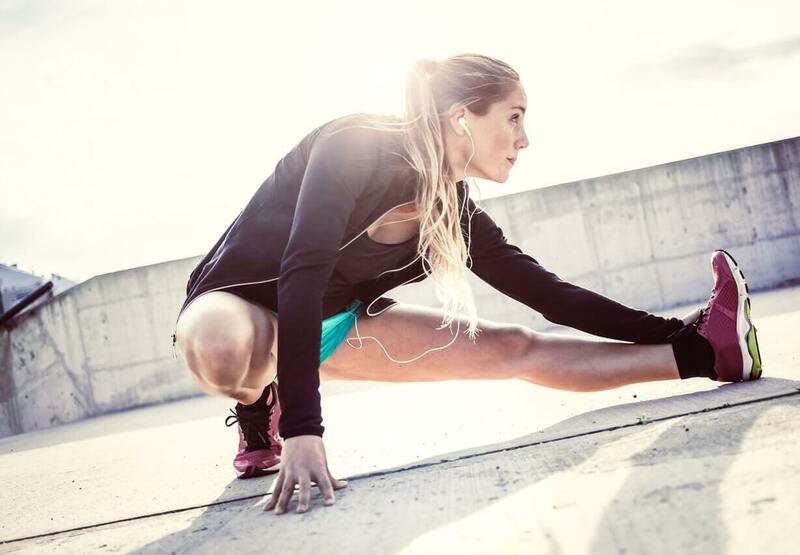 At the top, stay under control and perform a brief pause and squeeze before lowering the weight. 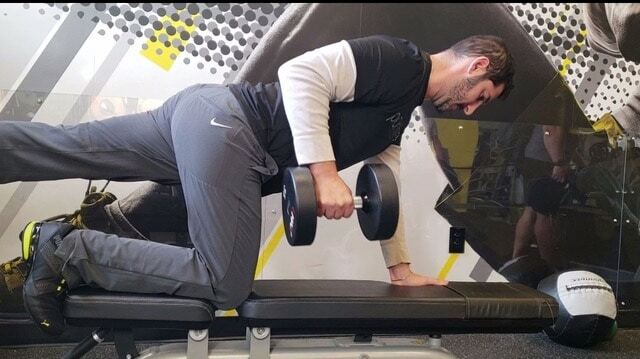 Keep the lat packed and do not reach too far at the finish as this could lead to loss of posture Simultaneously activating your Latissimus Dorsi & Gluteus Maximus of opposing sides helps improve the connection between the 2 and increases stability of the lumbar spine. The balance component of this movement not only lights up your core and makes you focus on the lift but helps detract from bad form as this would throw you off balance. Give the Quadruped Bird Dog Row a try and let me know what you think!